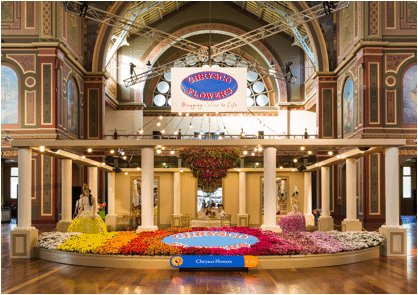 Our main attraction was a huge 150 square metres in size, positioned directly under the magnificent dome inside the Royal Melbourne Exhibition Building (the biggest stand in the history of MIFGS we were told!). 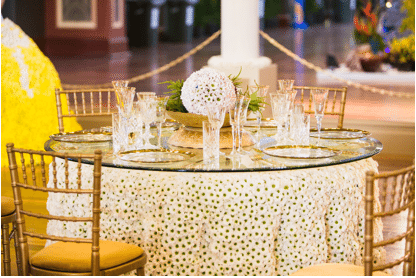 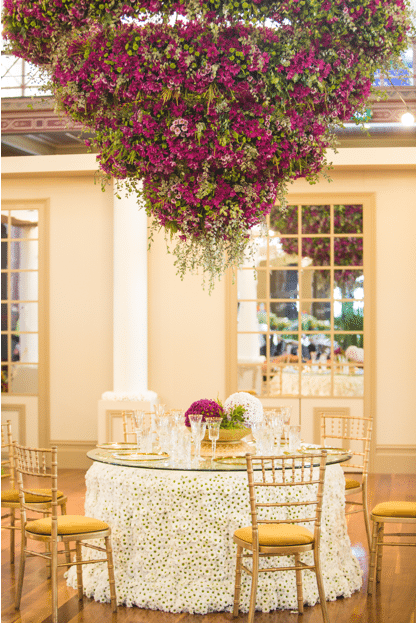 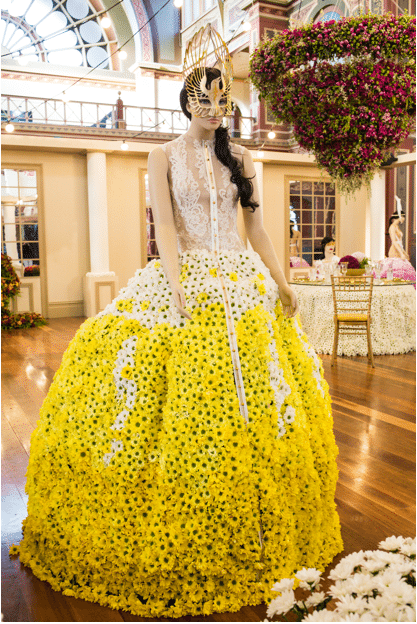 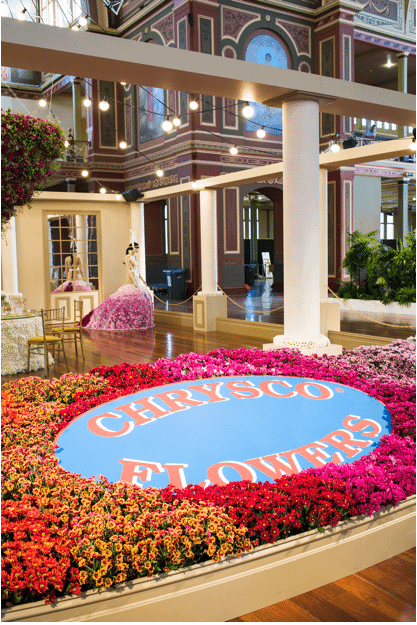 This was the ‘Chrysco Ballroom’, which carried a masquerade theme with three magnificent gowns created out of our flowers and a huge 4-tiered floral chandelier hanging above the main table, of which the tablecloth also featured white Chrysanthemums flower heads en masse to create a fabric effect. 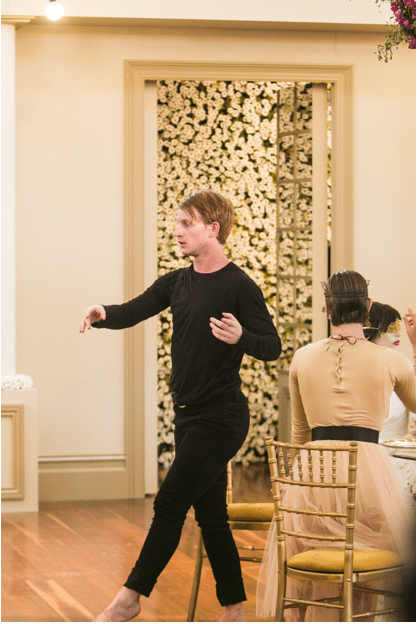 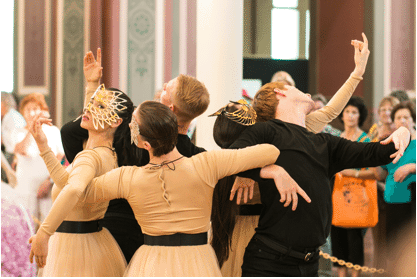 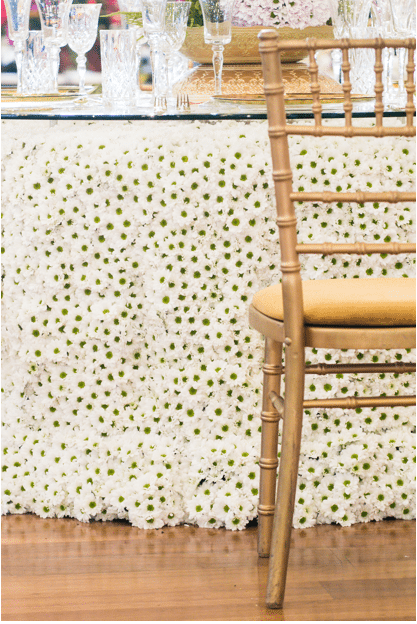 Five professional dancers brought our ballroom ‘to life’ 3 times each day performing a beautiful contemporary dance routine much to the delight of hundreds of onlookers and giving them a peek at the amazing floral wall hidden behind the mirrored doors! 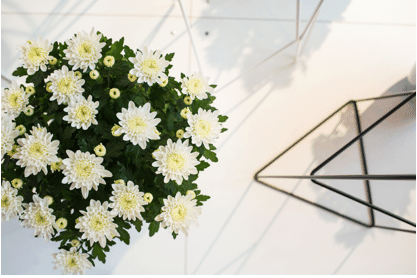 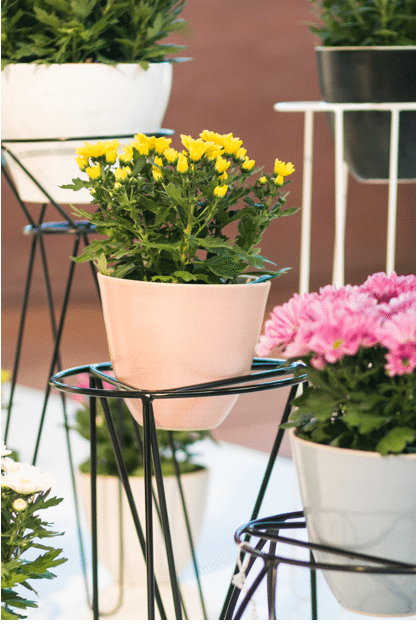 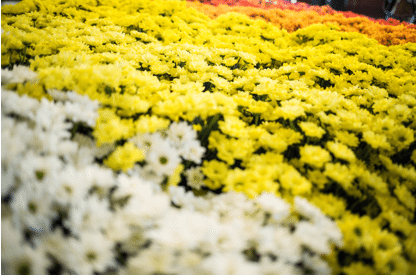 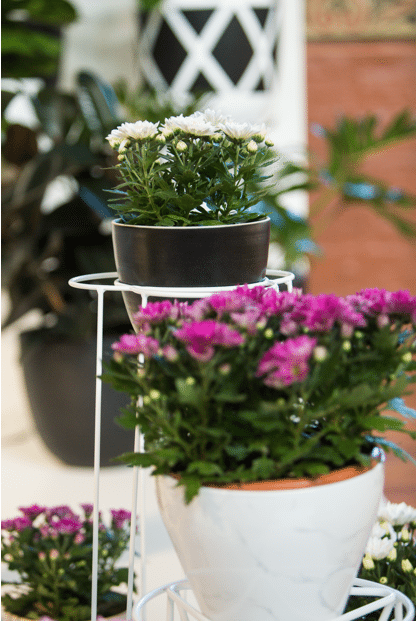 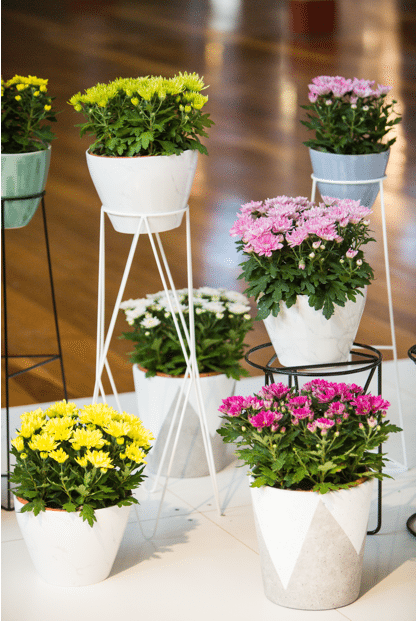 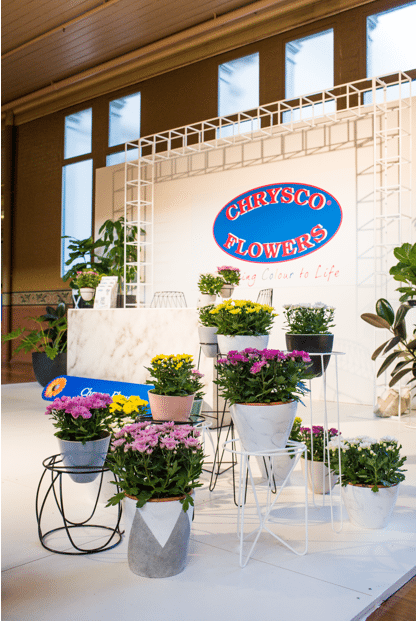 Our additional stand was to release our newest product to the public: Potted Chrysanthemums. 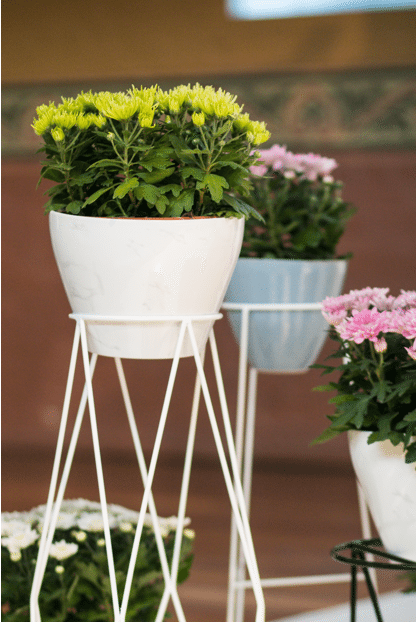 The main aim of this was to show people how these pots can be displayed in the home or office, with a modern theme. 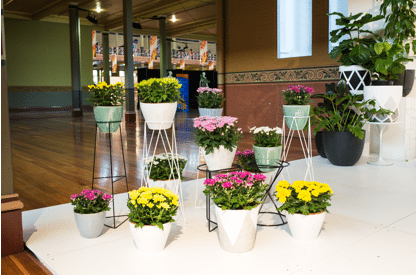 The pots were showcased in a variety of sleek and elegant cover pots and also in several pot stands which are on trend with the times. 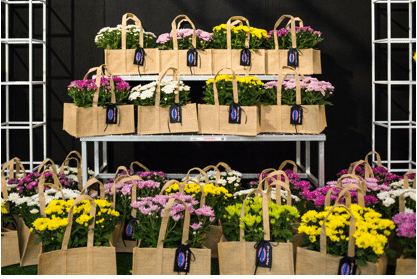 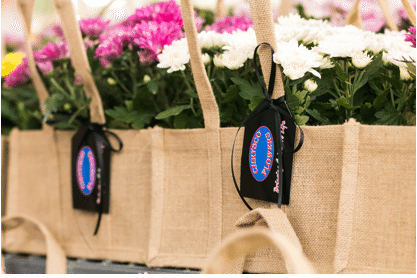 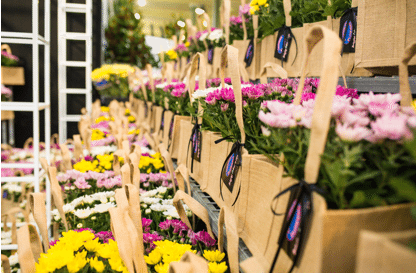 We also helped out on the ‘Flowers Victoria Flower Market’, selling our bunches and pots that were displayed in cute hessian bags. 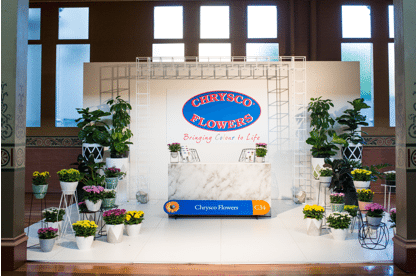 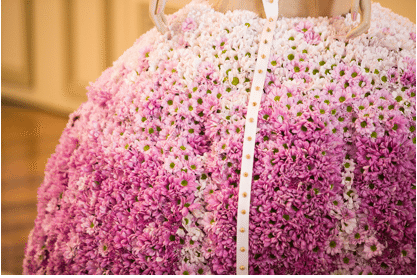 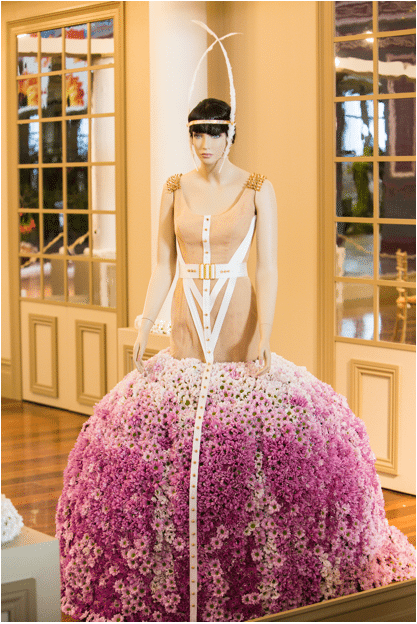 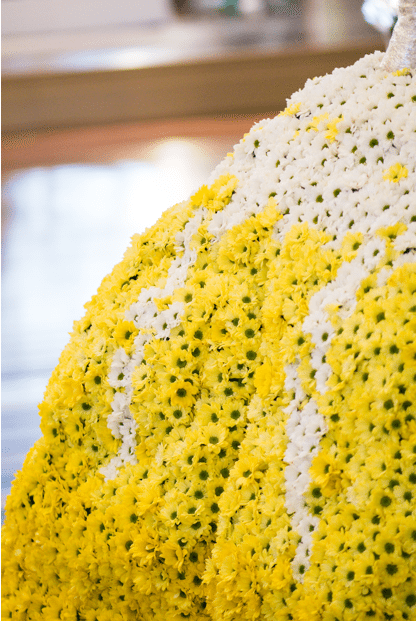 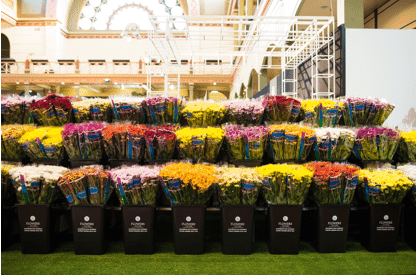 The main aim of this was not only to promote our product, but to support Flowers Victoria whilst helping to promote the industry as a whole. 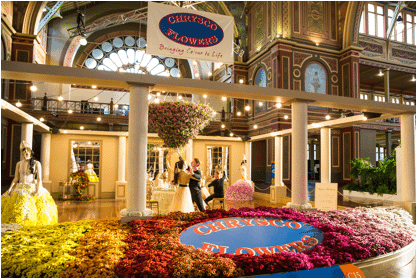 Again this year we have loved working with Liz, Michael and their whole team at The Flower Temple Melbourne (www.flowertemple.com.au) and Style Lux Melbourne (www.stylelux.com.au). 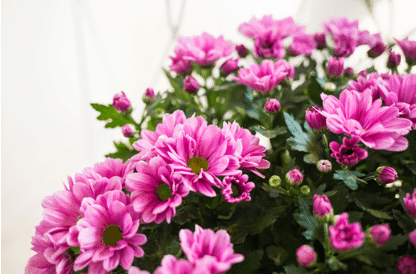 We have created a treasured friendship with these wonderful people, who were with us at our farm over our meeting room table right from the very beginning when this whole show was simply a thought in our minds! 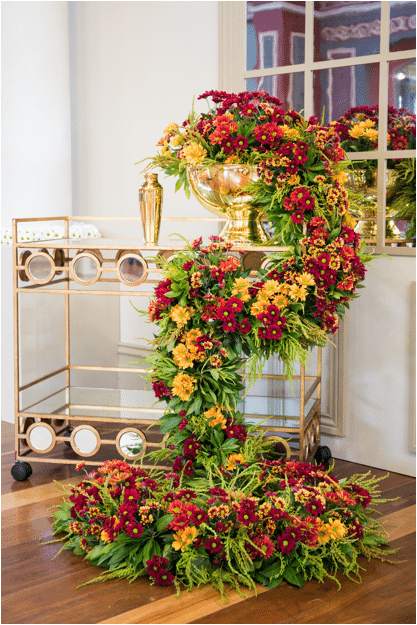 They are the masterminds behind our successful stands MIFGS 2016 – helping our ideas ‘come to life’ and we are so thankful for the wonderful relationship we have with them. 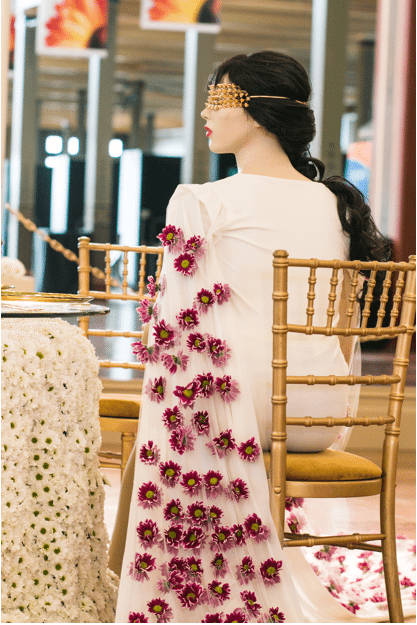 As with anything of this scale, there were speed bumps along the way – for example our beautiful mannequins were burnt and melted in a factory fire the week before the show! 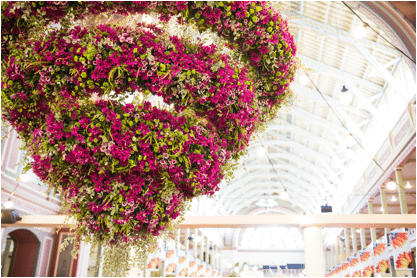 But in the end, MIFGS 2016 was a huge success for us and we loved every minute of it!